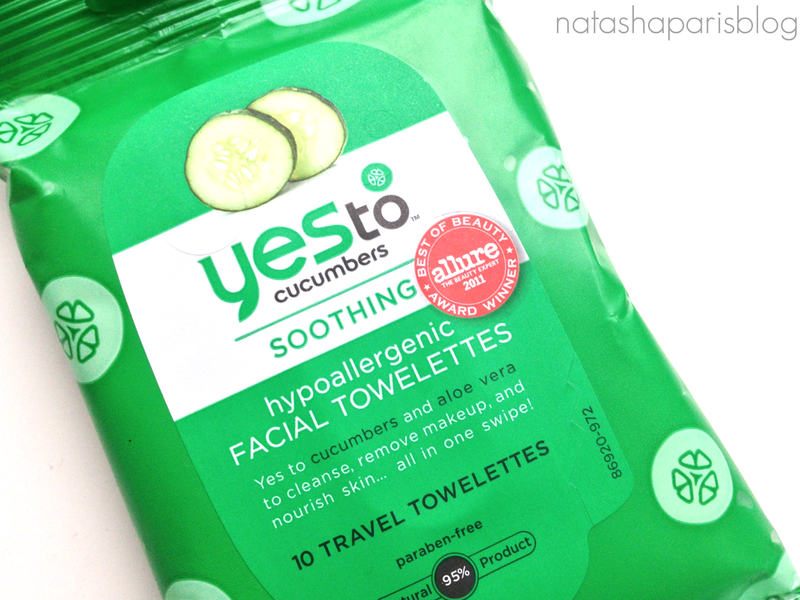 Recently Megan from Thumbalina Lillie held a Twitter giveaway which gave her followers the chance to win a travel size pack of Yes To Cucumbers face wipes. I was lucky enough to be one of the winners and I was excited to give these wipes a go. I know in the beauty world make-up wipes are frowned upon. Although I have a confession to make.. when I can't be bothered to take my make-up off at the end of the day I will use make-up wipes (shock horror!). The Yes To Cucumbers wipes contain natural ingredients are cruelty free and biodegradable, so they are very kind to the environment. When I used the wipes I was surprised at just how soft they were. Despite being so soft when it came to removing my make-up at the end of the day the wipes did a pretty good job at removing my face make-up. However trying to remove my eye make-up with these wipes was a whole different story, I had to scrub fairly hard to get my eye make-up to budge (even then there was still some left on my eyes.) I'd definitely recommend using an alternative product to remove your eye make-up. This travel size pack of face wipes (or travel towelettes as the packet states) can be purchased for £1.99 from places like Boots or Feel Unique. The full size pack costs £3.99. Have you tried anything from the Yes To range?